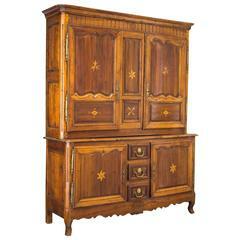 18th century walnut buffet deux corps with later painted decoration. 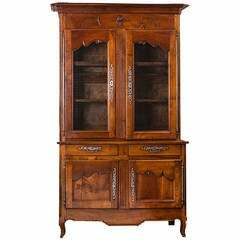 Beautiful 18th century walnut cabinet. 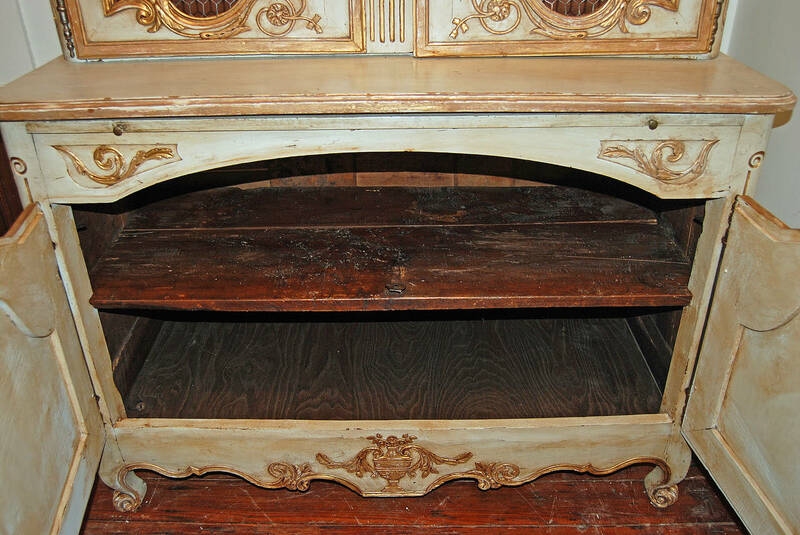 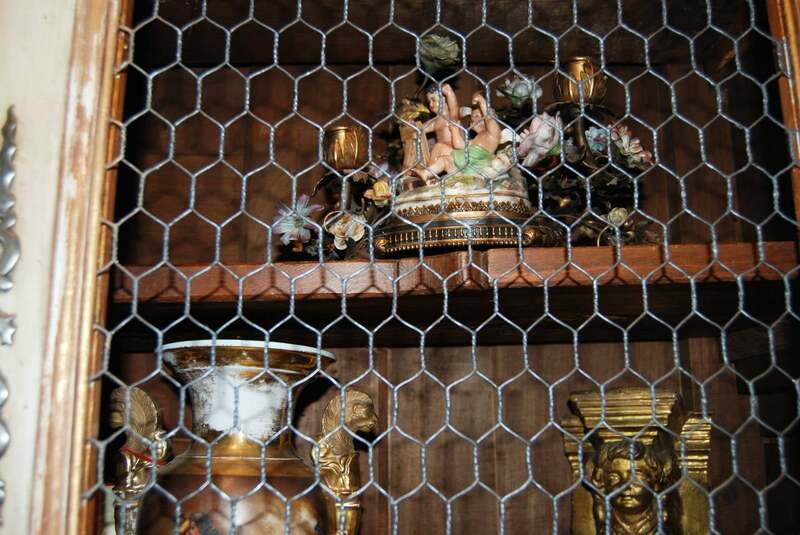 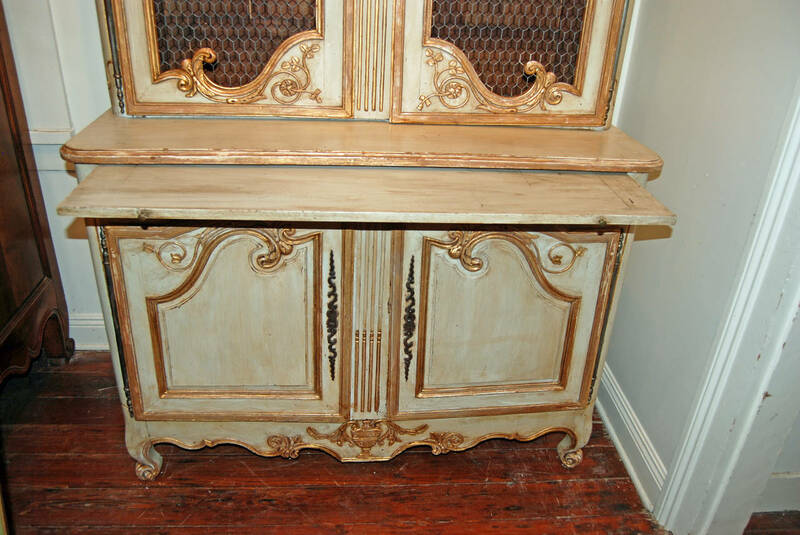 18th century painted and gilded buffet with original marble. 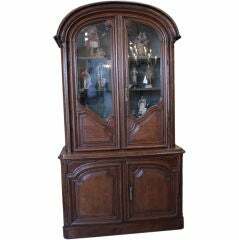 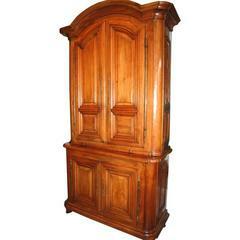 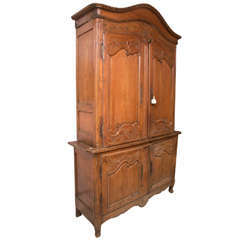 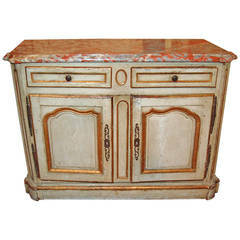 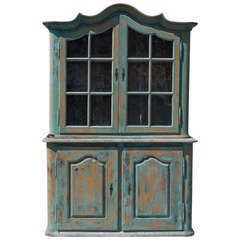 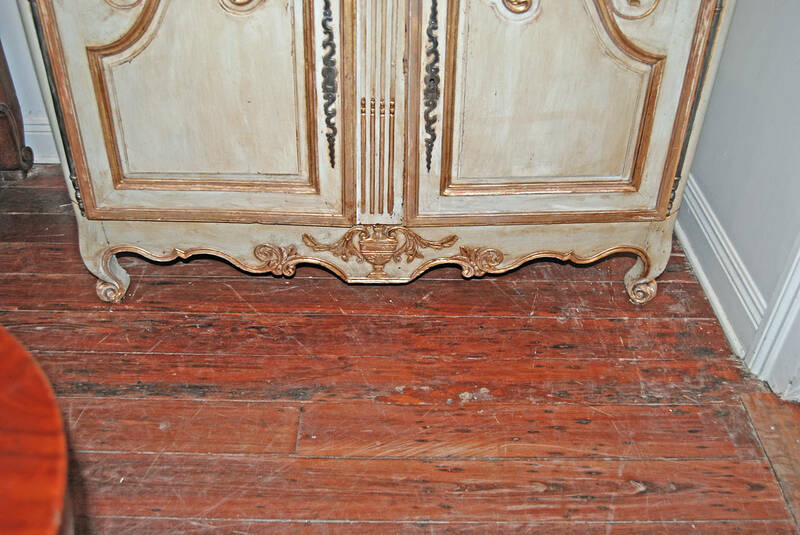 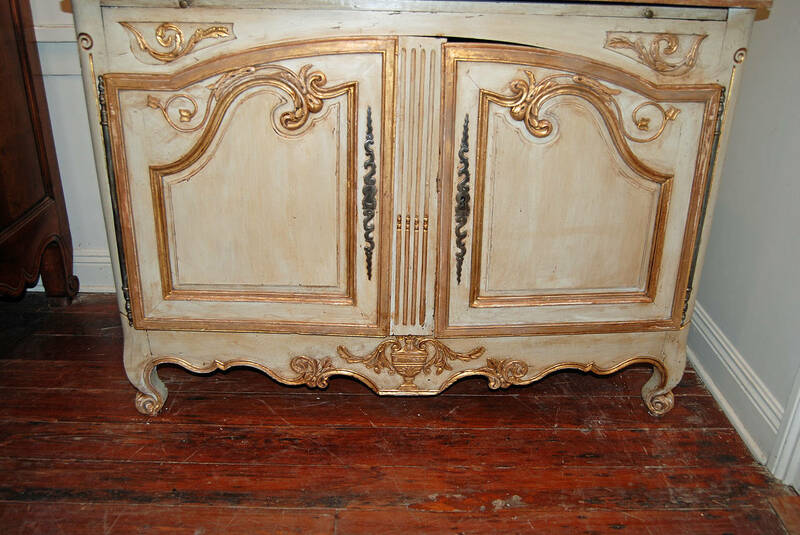 19th century, carved and painted cabinet-beautiful coloration. 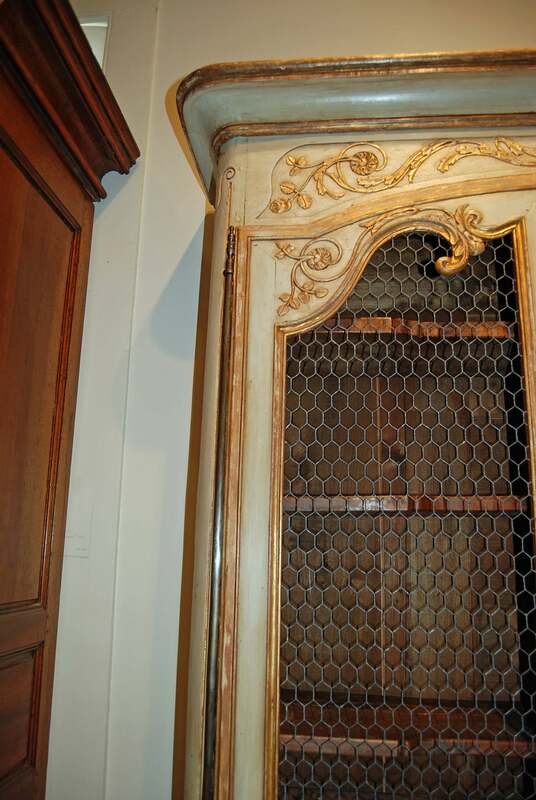 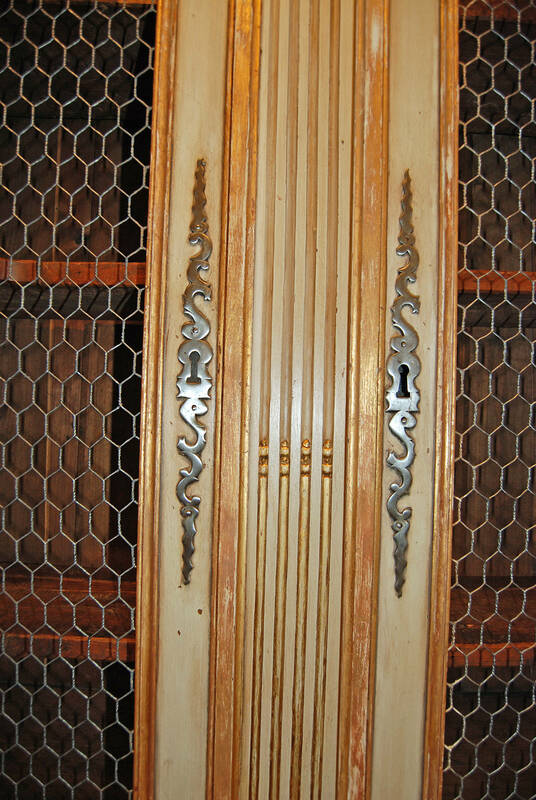 Pair of 18th century walnut cabinets with original hardware and lovely patina. 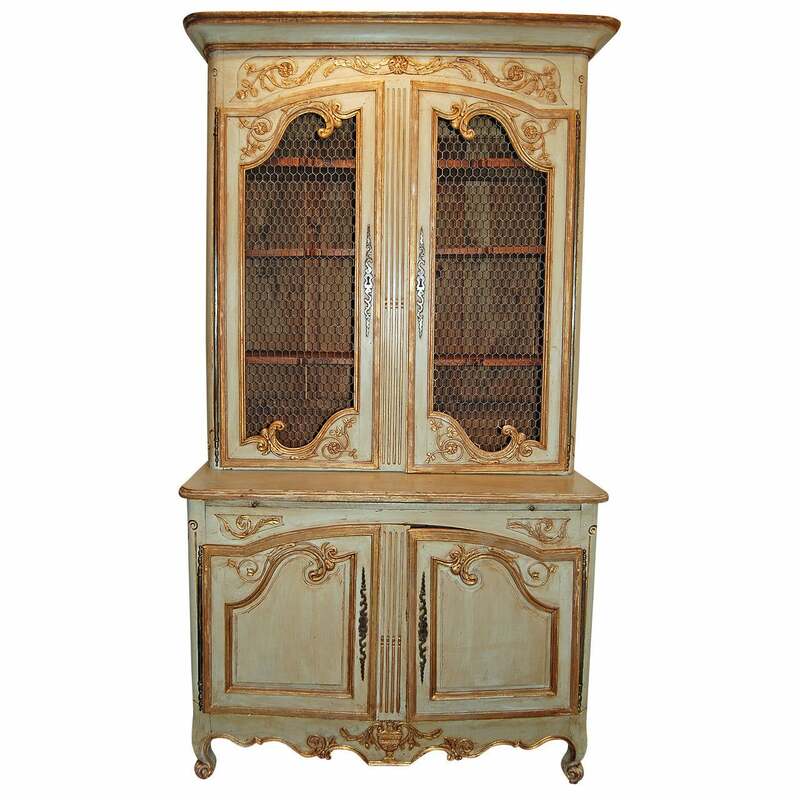 Painted buffett deux corps with glass doors.